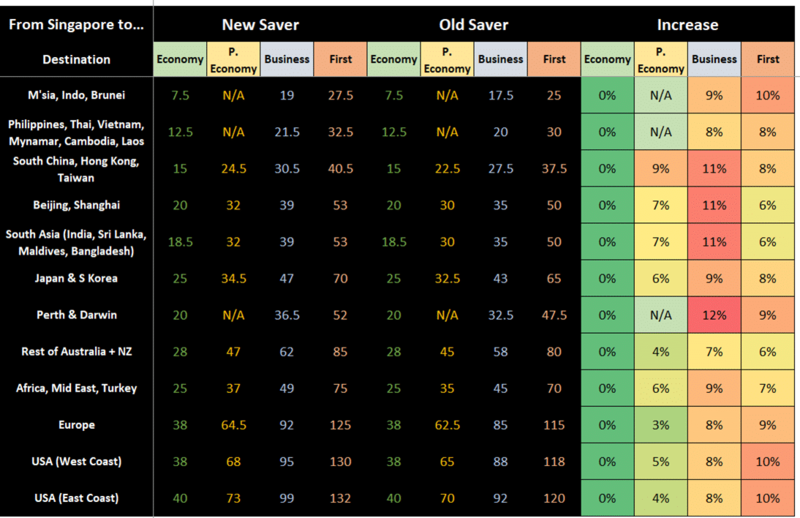 First and Business Class saver awards are increasing by 6-12%, Economy class awards untouched. KrisFlyer last raised award redemption prices in March 2017, and I remarked at the time that a devaluation every 5 years seemed par the course. However, given the rate at which banks are buying and issuing miles, and the general inflationary nature of miles themselves, I guess it shouldn’t really be surprising that the rate of accelerations likewise increases. Case in point- barely two years after the last devaluation, Singapore Airlines has decided to increase flight redemption costs once more. Effective 24 January 2019, award prices for First, Business and Premium Economy flights will increase across the board. 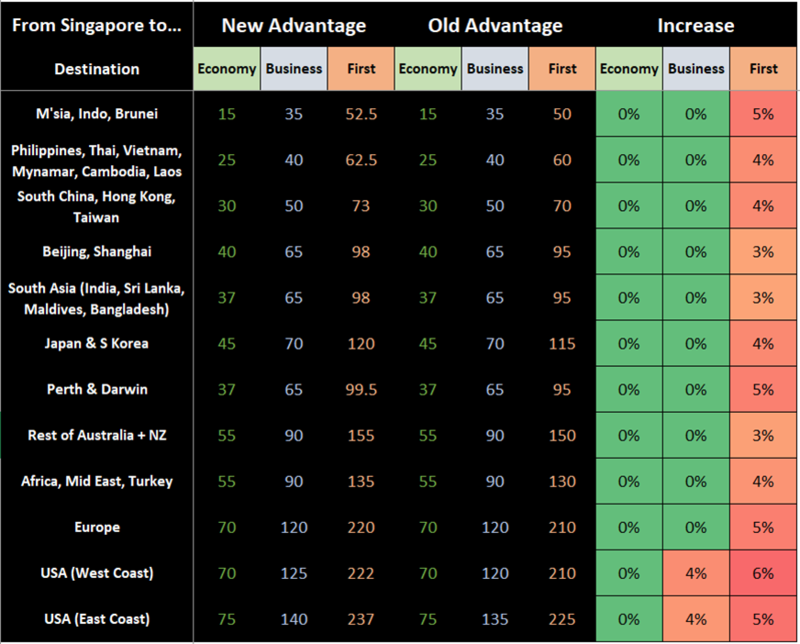 These changes only affect Singapore Airlines and SilkAir awards- the Star Alliance award chart is untouched. As long as you redeem your awards before 24 January 2019, you’ll enjoy the old pricing, regardless of when you’re actually flying. However, if you waitlist yourself for a flight before 24 January 2019 and the waitlist subsequently clears on or after 24 January 2019, you’ll need to pay the new, higher prices. I foresee a lot of people clogging up the KrisFlyer helpline with chaser requests in the next 3 weeks. If you booked a flight before 24 January 2019 and subsequently need to change your dates, you won’t need to pay any additional miles provided the ticket does not need to be reissued. Q6: If I make changes to my redemption booking or ticket on/after 24 January 19, which mileage level will apply? A: The revised award levels will apply for changes to your redemption bookings/tickets made on/after 24 January 2019. Members with existing redemption bookings/tickets who wish to change travel plans are advised to make the changes before 24 January 2019, for the current award levels to apply. I don’t quite understand why this should be, insofar as the ticket doesn’t require a reissue. I’ll need to investigate this matter. SQ has clarified that no additional miles are required if the change does not require a reissue, i.e. date changes. 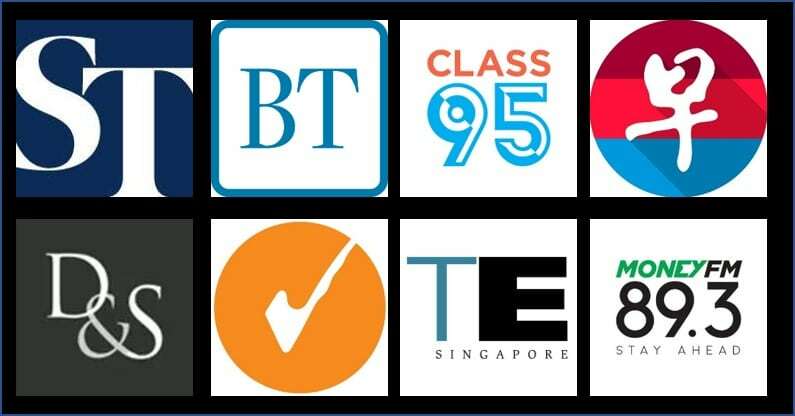 You should also write to the Straits Times forum page. Needless to say, I’ll have a lot more analysis coming on the award chart changes and implications. In the meantime, I will say that I wish SQ would give more than 3 weeks of notice (when they last devalued in 2017 they also gave the same 3 weeks notice), but it is what it is. Devaluations are part and parcel of the miles game. It’s painful that one should come barely two years after the previous, but in the cold light of day the price increases are modest. They issue the miles, they can change the rules. Look out for more analysis very shortly! Are round the world tickets affected? Post devaluation, is 2 cpm valuation still valid? Yes please do investigate the issue on itinerary changes post 24 Jan 2019. It doesn’t make sense to apply the new chart to, let’s say, part flown itineraries (e.g. stopover trick) where the second leg of the itinerary needs a little tweaking, but the first leg has already been flown. Hopefully SQ can clarify on this matter. isn’t loyalty over-rated these days? So to be clear – I can make a redemption booking now for flights in (say) November at the old rate (bus saver 58k) as a ‘date holder’ – then change the dates to February 2020 (when I actually want to travel but which is not currently open for booking on the SQ site) at no additional cost in miles?